K&N Drop in panel air filter replacement for 2002-2006 R53 MINI Cooper S, and 2005-2008 R52 Cabrio S. This is a direct replacement for the stock paper filter. No modification needed to install. These K&N air filters are a lifetime filter that can be cleaned and reused. 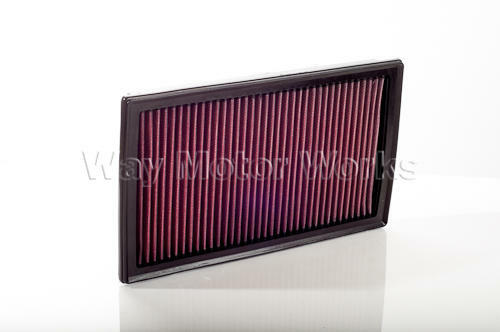 Also these filters will improve airflow since the K&N material will flow more air allowing your car to make more power. Will NOT fit JCW airbox.